As I briefly mentioned last year on this blog, I started the #CapturedInQueens portrait series back in 2015 primarily to bring attention to all the amazing regular folks that make the Queens community such a great place. 1. How much of how we suffer makes us who we are and results in the art we create? 2. How much of these feelings are the natural experiences of the artist, and when is it time to seek help? While we understand not everyone suffers from mental illness, there a bunch of people that suffer from issues that are not always obvious, not always visible from the surface, and with this latest portrait series, we are attempting to keep the conversation going and bring awareness to a very sensitive topic. 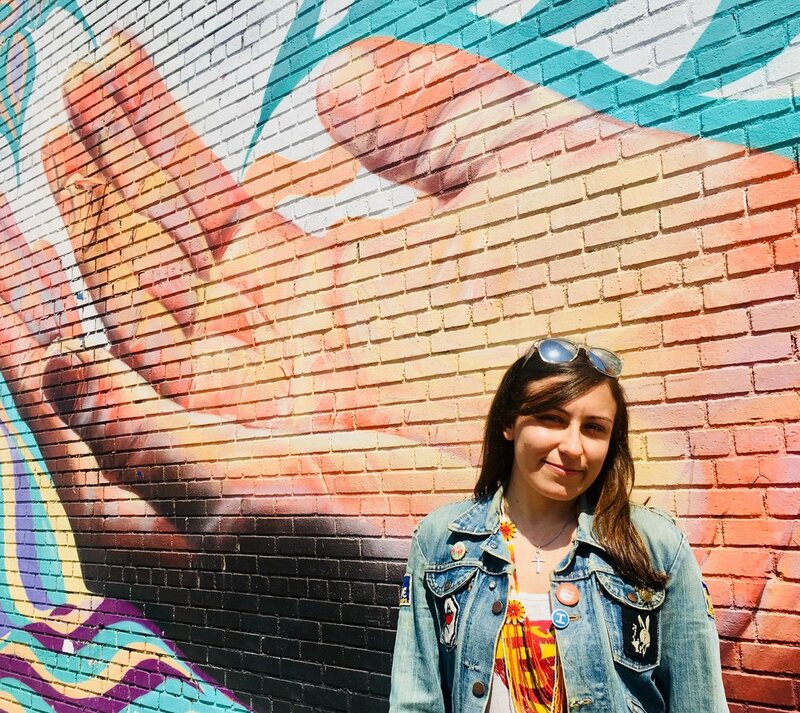 If you are not from Queens, and are not familiar with Audrey Dimola, here's a brief rundown of all the roles she holds: Audrey is a Writer, Poet, Curator, Community Organizer, Arts Crusader AND Director of Public Programming at Socrates Sculpture Park. To me though, I believe what makes Audrey really special is the commitment she has shown to destigmatizing mental illness. She has arranged many open and honest multidisciplinary performances and presentations about the too-often stigmatized topic of mental illness, particularly in connection to creativity as an outlet, outcome, or survival mechanism all through out Queens. After admiring all the inspiring stuff Audrey has created in Queens over the years, I got a chance to finally meet Audrey last March for the #HiketoHellgate17 photo walk I organized along with the Greater Astoria Historical Society and Michelle & Erica of @AStoryofAstoria. With barely a couple days notice she agreed to speak on behalf of herself and Socrates Sculpture Park to say a couple of extremely kind words to kick off a really engaging community event. So its needless to say I am honored to be working with Audrey again, and look forward to collaborating with her again in the very near future. I'll finish with this quote, "Our ambitions must be broad enough to include the aspirations and needs of others, for their sakes and for our own."